Alexander Rose Beach Modular Footstool: The Beach Modular Footstool is a stunning piece of outdoor furniture perfect for using to rest your feet whilst relaxing in the garden. The Modular Footstool is part of the Beach Lounge Collection which boasts an ultra-comfortable and modern design. 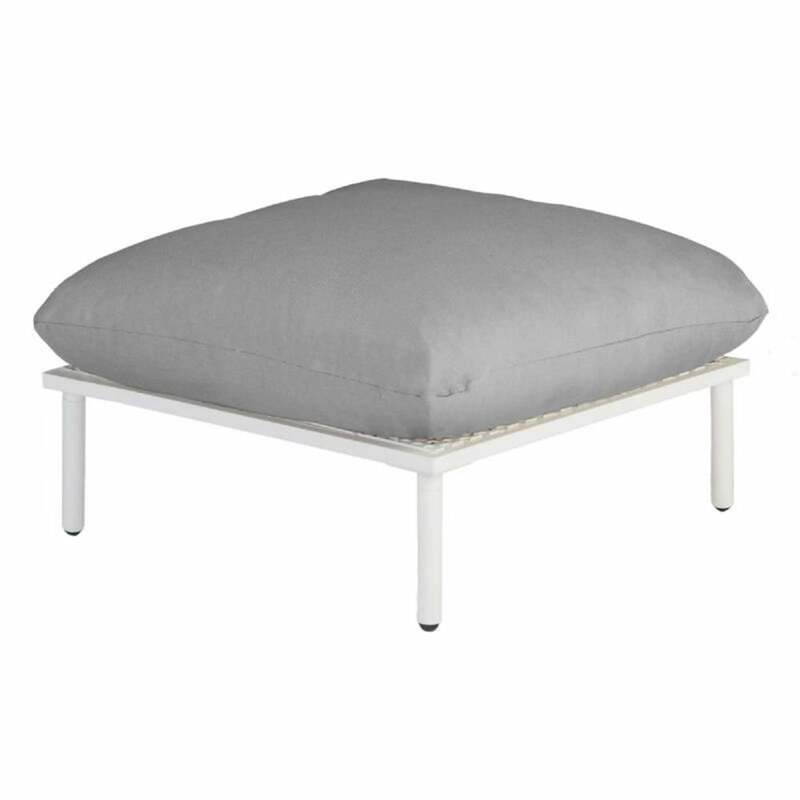 The Alexander Rose Footstool is manufactured using sturdy aluminium perforated mesh frames for a stylish design with a choice of a flint grey frame or a shell cream frame and a 5 year manufacturer’s warranty. The Modular Beach Footstool comes with a luxury water resistant olefin cushion in a colour choice of taupe or grey which attach to the holes in the frame using toggles and have a 2 year warranty.